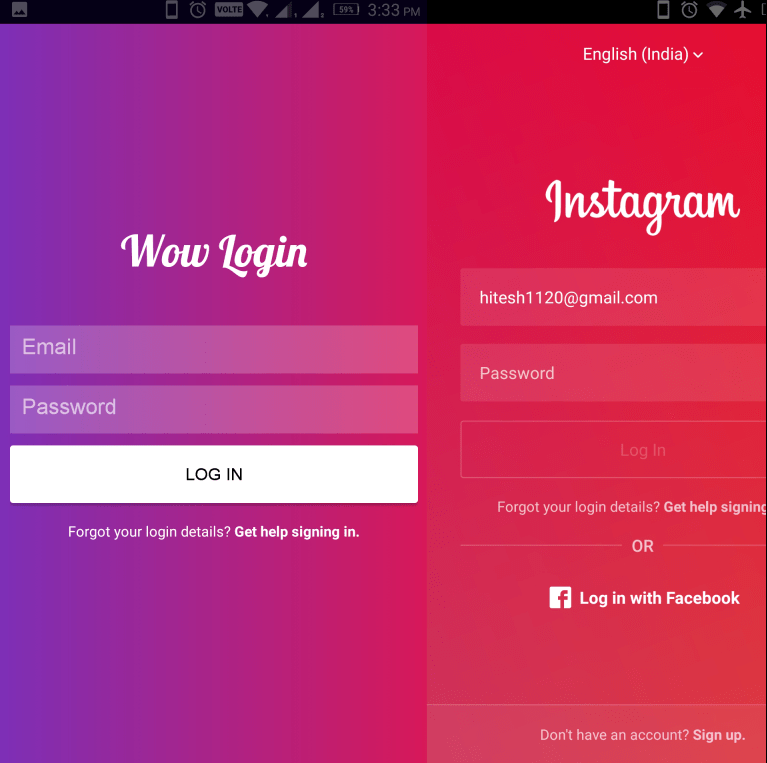 In my Previous on Creating Instagram like login UI screen, I explained how to achieve below UI design. In this post, let’s continue towards making our login work. This will simply display the login name of the current logged In user. String sql = "CREATE TABLE IF NOT EXISTS " + KEY_TABLEUSERINFO + " ( "
+ " where " + KEY_USERID + " = '"
+ userid + "' and " + KEY_PASSWORD + "='"
This class extends the SQLiteOpenHelper class and will create the Database for our application. The Android SQLite Database will contain one Login Info table named : tblUserInfo and it will be storing User information. Below method will help us to check if the user with specified password exists or not. It will return the name of the user if he/she exists. Edit the MainActivity.java file as below. The Button click event, passes the data to database class to check if the user exists in our Android SQLite database. It will pass the username if the user is found to the next class using Android Intent. * Created by H on 1/26/2018. Below is the video showing our Application final look and working. Happy Coding 🙂 Please share if found helpful.